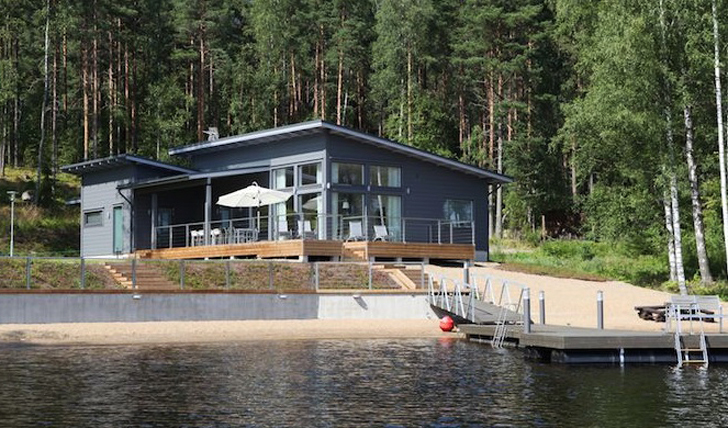 Whether you’re looking for a unique summer escape with all the family or a luxury trip with a big group of friends, Villa Jolla in Finnish Lakeland, with its private jetty and space for up to ten guests is the perfect choice. Overlooking stunning scenery and a sparkling lake, it is here that you can live out your fantasy of a quintessential Scandinavian summer by the lake. Villa Jolla sits on the shore of Lake Päijänne in view of the incredible Päijänne National Park. Located in southern Finland, the villa is less than two hours’ drive from Helsinki Airport and is part of a wider complex of other luxury villas which are all fully serviced to the highest standard. Villa Jolla has five beautifully finished bedrooms, implementing light and subtle décor in true Scandinavian style. The rest of the villa is absolutely stunning. Huge windows look out over the lake from the living room and the kitchen and dining areas are spacious. 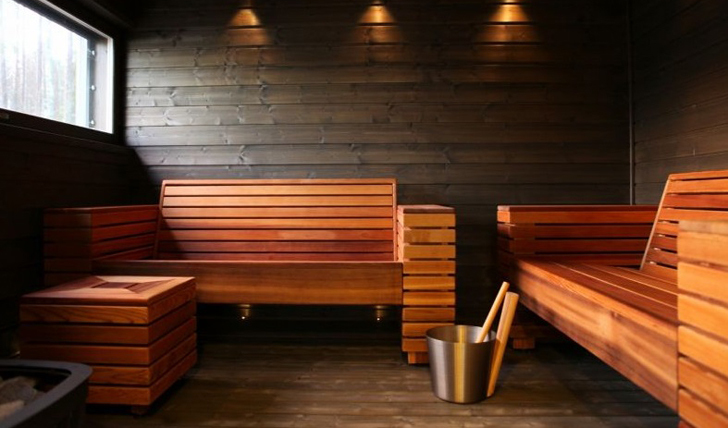 You’ve got your own private sauna and luxurious shower room. There’s also a private sundeck, a private jetty from which you can dive straight into the water and even your very own beach. It’s a truly idyllic place, and whilst you can enjoy the feeling of privacy, you can also indulge in the chef, butler and activity services that the Kiuasniemi resort can provide. There’s even a grocery delivery service should you want to cook for everyone yourself. Villa Jolla is truly breath-taking. The setting, the style, the privacy, the luxury; it all adds up to the summer of a lifetime. We loved being able to jump straight from the jetty into the waters of Lake Päijänne as well as the range of different experiences that one can enjoy in the area. Fishing, hiking, boating…welcome to the best of Scandinavia.